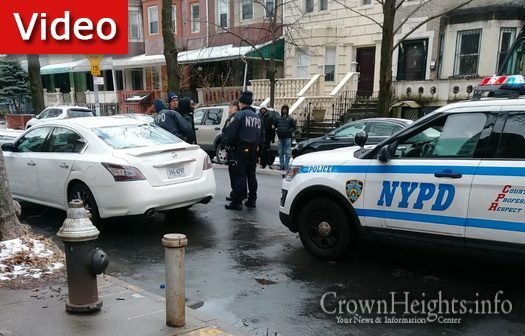 One person has been arrested after he hit a woman with her baby on Albany Ave in Crown Heights. The man stayed on scene, but was arrested for driving with a suspended license. 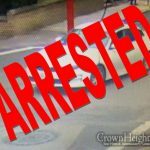 The driver of a white sedan was arrested after striking a woman with her baby, as they were crossing the intersection of Carroll St and Albany Ave Wednesday morning. 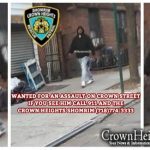 The driver, who can be seen on the video, stayed on the scene as the woman called Crown Heights Shomrim and 911. Hatzalah was called, and transported the mother and baby to the hospital with minor injuries. 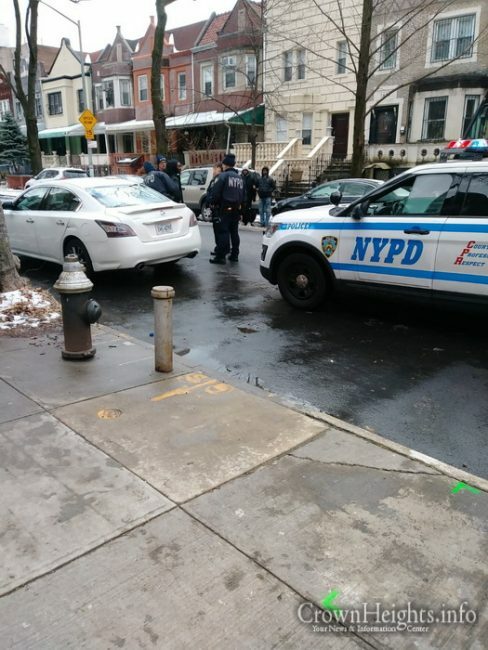 The driver of the vehicle was arrested by the NYPD for driving with a suspended license, an automatic arrest in NYC. No criminal intent is suspected at this time. He should have said he was undocumented, they would have let him go, after all NYC in a sanctuary city. He should be charged, he was completely negligent, there is no way he could have hit her if was driving normally and paying attention.